The Newburgh Girl Power Program held a day of service in honor of Martin Luther King Jr. on Monday, January 19, 2015 at Safe Harbors in Newburgh, NY. 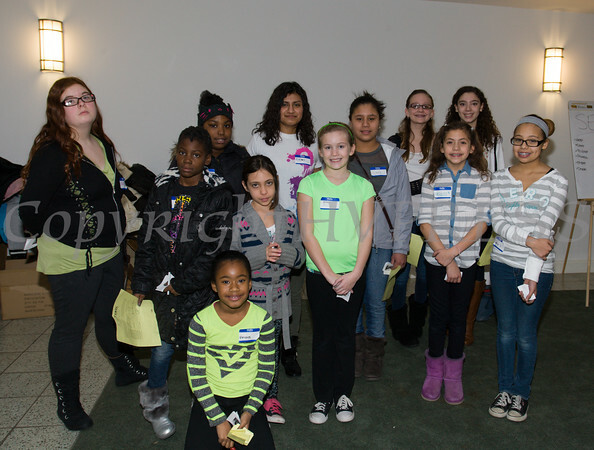 Some of the participants of the Newburgh Girl Power sponsored program of a day of service in honor of Martin Luther King Jr. on Monday, January 19, 2015 at Safe Harbors in Newburgh, NY, including Citlali Garcia, a member of the GirlUp Program - a United Nations Foundation. Hudson Valley Press/CHUCK STEWART, JR.